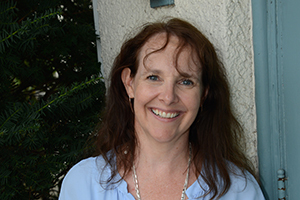 Alison MacLaren has been part of our school for the last eleven years as a parent, board member and, since 2011, as our director. She also teaches the French Language Enrichment Program to all children at HWCNS. She has a Masters Degree in Modern Languages (French, German and Spanish) from the University of Cambridge and an MBA from the University of Warwick in England. She has taught pre-school classes at the French Academy of Bilingual Culture in New Milford and French and Spanish to young children at the Wyckoff Family YMCA. She worked as the Registrar and President of the HWCNS School Board from 2007-2010. She lives in Ho-Ho-Kus with her husband and four young children and enjoys swimming, hiking, reading and cooking. Marilyn Garcia has been with the school since 2005. She teaches the 4 year-old class and the Spanish Enrichment class. Marilyn is bi-lingual and is fluent in Spanish. 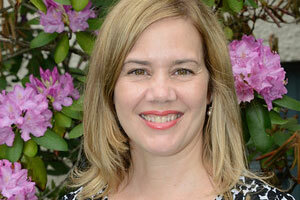 In addition, she is the Reading and Writing enrichment teacher and also teaches the Math and Science enrichment class. She holds a Bachelor's Degree in Communications with a minor in Business Management from William Paterson University. She also attended Bergen Community College to obtain her Child Development Associate Certification. Marilyn lives in Ho-Ho-Kus with her husband and two children. She is on the Soccer Board for the town’s REC program. 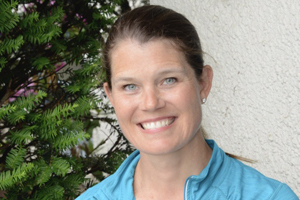 Besides coaching her daughter’s soccer team, she enjoys playing tennis, yoga and gardening. Amelia Hamilton joined our school in 2016 and teaches our other four-year-old class. Amelia comes to HWCNS from Green Twig School in Midland Park where she taught four-year-old classes and most recently the Kindergarten classes. Amelia has a degree in Accountancy from the University of Greenwich in London, England and is a graduate of the Institue of Personnel and development, U.K. Amelia also holds her Child Development Associate Certification. 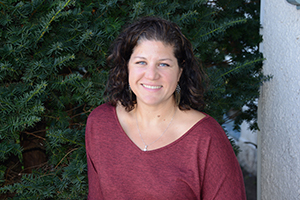 Amelia lives in Ridgewood with her husband and four daughters and enjoys traveling, gardening, cycling and relaxing with family and friends. Katie Devitt was with HWCNS from 2012-2015 as a teacher's aide and from 2015-2016 as a Teacher in the 3's class. She was also the Wednesday Afternoon Enrichment Teacher and a Mommy and Me teacher for the 2015-2106 school year. 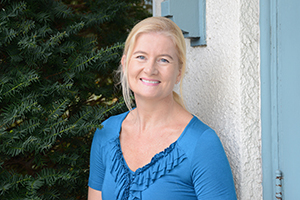 She has a Bachelors of Science in Business Management from Florida State University and has obtained her Child Development Associate Certification. She has been an active volunteer at her children's schools and with the Girl Scouts and Cub Scouts. Katie spent the last year in Florida with her family and now lives in Ho-Ho-Kus again with her husband and three children. Her favorite activities include sewing, cooking and spending time with family and friends. 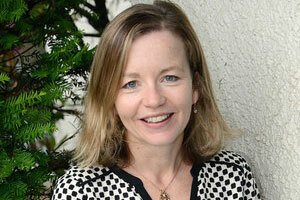 Sarah Harris first became associated with HWCNS when she enrolled one of her children in the 2’s class in 2002. Once all her children graduated she became a teacher’s aide. For the last ten years, she has had the incredible opportunity to assist in the classroom at every age level and under the guidance of seven experienced teachers. Sarah received her BA from Principia College and then received an additional degree from New York University in Business Management. She is currently working on her CDA. Sarah lives in Upper Saddle River with her three sons. Her oldest son is going to the School of the Art Institute of Chicago and her younger two sons are at Northern Highlands High School. Besides teaching at the school, Sarah enjoys hiking, reading and above all spending time with family and friends. Tiffany Hogue has been a part of our school as a parent and board member and now teaches the 2 year-old classes. 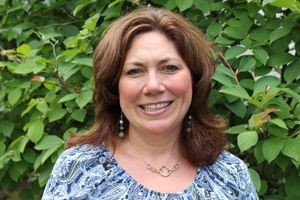 She has a Bachelor of Science Degree from the University of Delaware in Elementary and Special Education. She has experience teaching grades K through 8, most recently teaching Language Arts and Social Studies in 7th and 8th grade at Elmwood Park Middle School. Tiffany also worked with autistic children and children with emotional disabilities in the Christiana School District. She has a love of books and music and conducts the children of Guardian Angel Church in Allendale during their Christmas Eve mass and summer education program. Tiffany lives in Ho-Ho-Kus with her husband and three children. Diane Haddad has over 10 years of progressive classroom experience, first as a parent volunteer and then as a teacher’s aide at HWCNS. In 2017, she earned her Child Development Associate Certification. She left HWCNS for an opportunity to teach a Parent & Me class at her church’s Nursery School. She is delighted to be back as Mommy & Me and Friday Friends teacher at the school she loves, bringing with her the experiences of the past 2 years. She achieved her Bachelor of Arts in Management and Marketing from Felician College and an Associates in Allied Health from Bergen Community College. She volunteers at her church and as Girl Scout leader in HHK. Diane lives in HHK with her husband and 2 children and enjoys reading, Zumba, walking her dog Nico and spending time with family and friends. 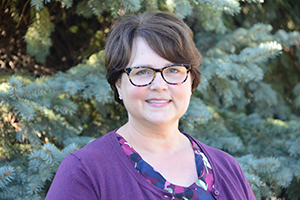 Melanie Miller was born and raised in Iowa and has lived on the East Coast for over thirty years. She has been at HWCNS for almost 10 years as an aide and has worked both as an aide and in the school office as Office Manager for the last 3 years. She lives in River Edge with her husband and daughter. She enjoys traveling and spending time with her family and friends. 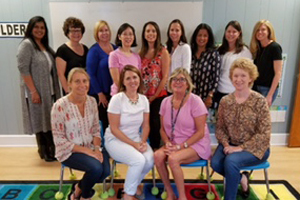 We have a wonderful group of kind, nurturing, enthusiastic and energetic aides who work with the teachers and cooping parents in the classroom. The aides are invaluable members of our team; they help to prepare and implement daily activities and alongside the teachers, assist and guide the children throughout the day.